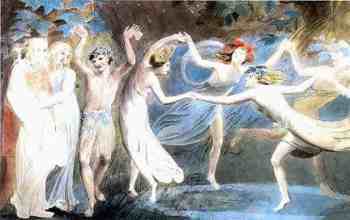 William Blake wrote “Energy is eternal delight” and it said he died at 70 singing songs of joy. He was dismissed as eccentric, if not an insane. What vision of energy did this man have who writes; “To see the world in a grain of sand, and to see heaven in a wild flower, hold infinity in the palm of your hands, and eternity in an hour”? In this he foresaw the messages of quantum physics. What vision of energy did this man have that he writes of “the dark Satanic mills” in referring to the early Industrial Revolution. In this he foresaw the World Wars, our current despoiled planet and our society now at the brink of self-destruction. Many “environmentalists” now experience confusion and hopelessness in the aftermath of the hoopla and travel-frenzy that was Copenhagen with all its destruction of resources and pollution. They feel their messages of the need for stewardship are unheard. Could it be that their real messages are not what they think they are and they are communicating with perfect clarity? Could it be the dissonance, denial, confusion and lack of hope they see in their audience is a reflection of their own? By contrast it is said Blake never travelled more than thirty miles from his birthplace and yet over two centuries later his messages continue to resonate with hope in millions of people in the furthest lands on the planet. (I, for instance, live in New Zealand). I know little of William Blake and his work. I do know art enables us to transcend our ego and he was a skilled artist. I do know that for many years I tagged my signature with the quote “Energy is eternal delight” –William Blake. This was my response to those who preach that energy threatens and fails us. All this inspires the question, “What is energy?” The answer seems to be that though we are each intimate with energy no human being truly knows what it is and perhaps no human being can ever know its full, true nature. We do know that many great sages over the millennia have enjoyed a vision of the nature of energy that fills them with awe and wonder such that they cannot find words to express it. 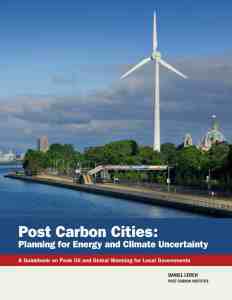 We also have great guides to the nature of energy in the Conservation, Uncertainty and Sustainability Principles of Energy. However our educators rarely unpack their fuller wisdom. The Conservation Principle of Energy has several great messages including the notions that energy is so bounteous that it can be considered a constant, that energy continually transforms and that we are part of a universal flux. This principle is as near as we have to a natural law, for no other symbolisation of existence has been subject to such intense scrutiny. Despite our best endeavours no human being has ever invented a perpetual motion machine, invented an elixir of youth or evaded mortality. We live a conundrum, an intricate and difficult problem. While our egos are threatened by concepts of mortality and desperately attempt to deny the reality of constant transformation our senses constantly remind us that all is change. Similarly the Uncertainty Principle of Energy seems continually proven, as shown by the ever-growing array of new electronic technologies spawned of its insights. Again its messages are inconvenient for our ego, for egos dissolve in the paradox and interconnection of all. And the Uncertainty Principle presents us with a conundrum too - it reminds us that the state of human beings is characterised by uncertainty even as it also reminds us that we are stewards of our actions, whether we like it or not. Together these Principles suggest that reality is continual transformation that we are each part of. In this reality we each have a role as a steward of our actions amidst the universal action. Indeed it is possible that in the ultimate the notions of change and stewardship are so intimately connected that they are nearly indistinguishable. And here we get to the crux of our situation: self-consciousness contains equal potential for self-respect and self-deceit. We have the capacity to develop very sophisticated psychological mechanisms to live in acceptance and in denial of change/stewardship. Deciding how to use this potential is compounded by the fact that our consciousness is but a trace element of our being. Neurophysics suggests that while in any moment we are each conscious of maybe a couple of thousand interactions with the universe(s) our primal being is sentient of perhaps 50 billion interactions. And while our cells contain wisdom that has sustained their structure a billion years through all manner of change our egos have a great capacity to deny this wisdom. This phenomenon of denial is easily illustrated. Give yourself the experience of five minutes uninterrupted sentience of existence. Unless you are skilled in transcending the ego then you will find this the hardest task you have ever attempted. The mind with great ingenuity and persistence constantly interrupts the awareness so that within seconds most of us are thinking some thought rather than simply experiencing the sensations of all. Such is the power for self-deceit residing in us all. This capacity is so powerful we cannot think or wish it gone. Indeed such endeavour only fuels the ego’s capacity for self-deceit. However we do have the capacity to transcend it. Our greatest psychologists over millennia consistently remind us of our capacity for compassion and its power. They suggest from experience that in an enhanced state of compassion we find acceptance of the human condition and even much humour in it. In such moments the ego with its often-unhelpful demands and strictures dissolves of its own accord with ease. Could it be that it was such an experience that motivated William Blake to symbolise energy is such a sublime way? Are we denying our self an amazing vision of the nature of energy? Why are so many of us dominated by sensations of fear and deprivation rather than harmony and abundance? Perhaps it is helpful to be mindful of what else we know of the nature of energy. I mentioned how our educational institutions fail to unpack all the wisdom in the great Principles of Energy. Indeed most of them actively deny this wisdom in myriad ways that I will detail later. For now I will draw your attention to two more of their unhelpful practices. In other words it is anything that is and anything that could be. A brief example illustrates the limitations of the potential/kinetic dichotomy of our educators. Imagine a mountain with a beautiful valley with permanent pure fresh water stream, deep fertile soils, sheltered and sunny. It is an ideal place to create an abode. Now imagine balanced in most precarious way overhanging the valley is an immense rock. Our teachers point to the grass moving in the wind and the flowing waters and say these manifest kinetic energy. They point to the unmoving rock and say it has potential energy and describe its impacts if it did crash down the valley. What they fail to communicate is the mind-matter relationship. They fail to understand that information is physical. Measurable electrochemical changes occur in our bodies as we imagine the potential of that rock. Even if we are not directly looking at the rock our knowledge of its potential to crash down that can be measured as kinetic energy. The unmoving rock continually and materially alters the valley because we refrain from making our abode in it. It is a sustained force. The potential of the rock exists as kinetic energy, albeit in our minds. Our educators also obscure Quantum Physics for us. For instance an electron is actualised for a trace, trace moment like a momentary glint on a wave in a vast ocean of potential or possibilities, We cannot observe it without affecting how it is manifest and any change spontaneously causes a related change somewhere else in the universe. This is explained to us, and then we are told this is not relevant to our daily lives and the insights are packed away in the Too Hard boxes labeled “Quantum Theory” and “Paradox”. It seems energy can be better understood as being the potential of the universe(s). It is more helpful to speak of actual potential and non-actual potential. Or if you like, realised potential and non-realised potential. The potential that is realised and manifest in any moment to us is an absolutely miniscule aspect of the total potential of the universe(s). Perhaps this greater potential is the vision of energy our sages allude to? It is also common for our educators to confuse us by saying there is stuff called Thermal Energy, Kinetic Energy, Potential energy, Electrical Energy etc. Again with this use of the “potential” symbol they deny the human involvement in the potential. In framing energy thus they also confuse energy with its perceived properties. 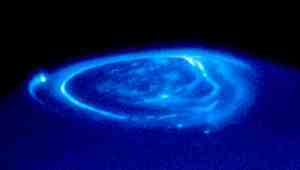 It is more helpful to, for instance, talk of exploring energy from an electrical perspective or a thermal perspective or a gravitational perspective etc. We can explore both actualised and non-actualised potential from any perspective. This approach transforms our vision of energy from being one in which it is experienced as a distant set of monolithic constructs to one in which we become part of an ever-changing shimmering kaleidoscope. Our existence becomes alive in an awareness of an immense complexity of patterns, no two the same and yet all sharing something indeterminate in common. And, as mentioned, our educators often frame energy as existing in half a dozen forms as in “Forms of Energy = Thermal, Kinetic, Potential, Electrical etc. They confuse possible perspectives of energy and obscure the fact energy is actually manifested in myriad forms. They deny the essential change. In short, when we accept the Conservation Principle we become aware of a far greater potential full of previously unimagined possibilities. Inherent in this is hope and wonderment even as we are reminded of our mortality and roles as stewards. The question arises why do we continue to deny this greater potential, this truer reality? The answer lies in our ego with its powerful elements of psychosis (inability to reflect reality) and psychopathy (inability to enjoy compassion) allied with our grand capacity for self-deceit. These confound and confuse us and enable us to deny change/stewardship. And these capacities are compounded many fold when they are projected into our social constructs. The modern corporation is an almost perfect manifestation of our psychopathic elements, having all the rights of individuals and none of the responsibilities, being beholden only to the amoral construct called The Market with its driving imperative of maximising short-term profit. The denial of change/stewardship is endemic in our Anglo-American culture. I will not detail the unsustainable lifestyles that this denial generates. Instead I will concentrate on providing a few examples that illustrate how the denial is manifest at the most fundamental level. Basically these are examples of how our ego plays tricks on us. The universal continual change can be viewed from the thermal perspective or thermodynamics. All things are constantly warming as they are cooling. Any form, whether it is our body or the life on our planet, is only sustained while the rate of its warming is balanced by the rate of its cooling. Water enters the lake at the same rate as it leaves. 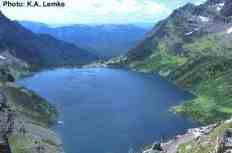 Thus the lake exists. In this context Global Warming is a life enabling process, which we welcome at a cellular level. For the reasons alluded to our ego denies this fundamental order and it is common to hear people say we must fight and stop Global Warming. They even deny the fundamental thermodynamics of our universe(s) by confusing Global Warming (a state of balance) with Global Warming-Up (a state of imbalance). Ask yourself, “If warming is warming-up, then what is warming?” Right. Either one or the other does not exist. And we are in the situation where the wisdom of our cells is saying Global Warming is good and our ego is saying it is bad. The result is we experience dissonance and are less unable to reflect reality. Another example from this thermal perspective is our use of the “climate change” symbol. At one level we understand it is the natural order that we need to live in harmony with. Another element of us denies our roles as stewards/change and projects responsibility onto Earth’s climate. Thus it is common to hear people say we must stop/combat/ kill climate change as it is evil and threatens us. Our ego denies stewardship/change by precluding the “use” symbol in our equations of our relationship with Earth’s climate. Again this ego trick of projecting blame onto the climate generates dissonance with the wise element in us, which says we each need act as stewards of the climate balances that sustain us. 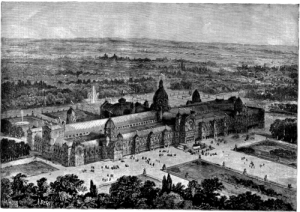 A final example from this thermal perspective is our use of the “greenhouse” symbol to portray atmospheric processes.It is no coincidence this use of the symbol emerged with the advent of the Industrial Revolution because it is the perfect symbolisation of the Industrial Revolution spirit or religion. The “Greenhouse Earth” image of our planet contained in a greenhouse is the perfect manifestation of the dominant belief in our culture that this planet is here for us to engineer at the will of our ego. 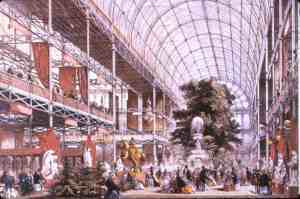 For instance the Crystal Palace, designed for the Great Industrial Exhibition of 1851, symbolised (British) Man’s dominion over all creatures and lands of the Earth, with all notions of stewardship having been stripped from the “dominion” symbol. 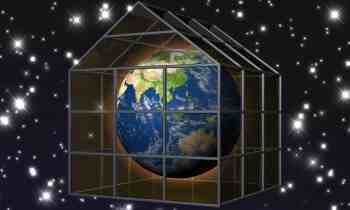 The “Greenhouse Earth” image is the perfect manifestation of our arrogance and denial of stewardship. The Industrial Revolution is founded in monolithic linear thinking such that we reorder our landscapes in straight-lines regardless of the disharmony with all. Gaze upon the countless straight-line posters illustrating Earth in a straight-line greenhouse that grace the straight-line walls of our schools today and feel the dissonance. The wisdom of our cells knows straight lines are generated by our minds and do not reflect reality. Thus our children are filled with dissonance. The thermodynamic reality of our atmosphere is that air has a considerable capacity for convective change. Our ego denies this by supplanting it with notions such as greenhouses, sealed cars, stoppered bottles and other human constructions with which we can actively suppress the convective capacity of air. The dissonance caused is such that it also serves to destroy the awareness of sustainable uses of air in insulation in our dwellings and other devices. And, in brief, our ego’s use of the “greenhouse” gas symbol reflects our denial of all the implications of change/stewardship that are inherent in the “trace” symbol. The advent of the Industrial Revolution coincided with a growing awareness of what were then called ‘trace gases” –gases so rare they were barely detectable. The “trace” symbol is inconvenient for our ego as it involves a major acknowledgement of how tiny quantities with leverage can have very large impacts. Our failure to understand this vital notion is now being manifest in the current massive credit and population explosions based on our trace mineral oil resource. Similarly the evocation of the “greenhouse” symbol as in "greenhouse gas" enables us to deny our role as stewards of the trace gases and their very large change potential while reassuring our ego that we can engineer the atmosphere at will. I can give many examples of how our symbol use reveals our denial of change/stewardship and will restrict my discussion to a few of the more profound ones. The Conservation Principle states very clearly that energy is. In other words, it cannot be created or destroyed, generated, renewed, saved, conserved, sustained, lost etc by human beings. How often do you hear yourself, teachers and “energy experts” denying this reality and speaking of stuff called “renewable energy” “generated energy”, “sustainable energy” etc? We have national institutions devoted to telling us humans can conserve, save, generate, sustain and otherwise alter the nature of energy. This is delusional. If the Conservation Principle holds, then the reality is that human beings can only work to sustain balances and conserve/save/sustain resources and renewable sources of energy. Which brings us to another trick our ego plays on us. It is a classic example of our capacity for self-deceit. The Conservation Principle of Energy reminds us energy is bounteous as the universe(s) and continually transforms. It may be manifest in myriad forms and each of those forms is transient, existing only for trace moments. Some of these forms may be valuable resources for us and our ego can find it very convenient to deny our role as stewards of them. Its trick is to symbolise the resource as energy and thus we feel able to value and use it as though it is as bounteous as energy. The great contemporary example of this trick is our response to our discovery of fossilised carbon as a fuel resource, especially mineral oil/gas. We symbolise it as energy and give almost zero value to it ($US25 a barrel is about 0.1 cents per man hour of labour equivalent.) We would not dream of working for this rate ourselves and yet we justify this valuation of a very limited resource by saying our time is so important that it is our God-given right to burn it in most wasteful way in cars, trucks, jets etc. This symbolisation also omits the atmosphere from the combustion equation, which again is most convenient for the selfish elements of our ego. We are able to value the atmosphere at 0.0cents. We deny reality at our peril, as we are finding with the depletion of cheaply extracted minerals and enhanced pollution. The risks generated by our confusion of particular forms with energy rapidly amplify when reflected on scale into our corporations. These powerful structures massively lever off our denial of stewardship/change in most psychopathic way. The self-styled “energy corporations” redefine the products they retail as energy while they actively re-engineer our society in reflection of this grand denial of change/stewardship. The prime examples are fossil fuel and Bulk-generated electrical products. In New Zealand think of Meridian Energy, OnEnergy, Top Energy, Contact Energy, Origin Energy, Genesis Energy, Solid Energy et al. Assume energy is the potential of the universe(s). Power is a measure – the rate at which this potential is manifest. Thus both the “energy” and “power” symbols rate as our most potent symbols – a symbol being defined as a quantum of crystallised, shared meaning. In our culture the dominant equation of the “power” symbol is with one tiny group of the myriad forms possible: power is equated with Bulk-generated electrical products. This denial is so pervasive and insidious that few people are aware to even ask how it is a measure can be an electrical product, let alone to question the complete denial of Conservation Principle and change. The ego is very clever, even if it is often very unwise. In New Zealand the Broadcasting Standards Authority has even gone as far as to decree that it is perfectly acceptable to use the “energy”, “power” and “electricity” symbols interchangeably and to equate them all with Bulk-generated electrical products. There is further great denial of reality here that may not be immediately obvious. Electricity does not exist and this use of the symbol denies the fact that a great range of electrical phenomena exists, each with very different and sometimes opposing properties to each other. We are denied the language to know and use all those phenomena. We then wonder why we are at the mercy of monolithic electrical grid and generating systems and, to quote the bankers who control these corporate structures, we are at constant risk of “energy crises” and “power failures”. The consequences of this confusion of symbols are profoundly unsustainable. The legal imperatives of modern corporations are that they must maximise short-term profits for their principal shareholders at all costs. These costs may include the destruction of the state of science and thus the extinction of civilisation – there is nothing in the laws governing our corporations that precludes such costs. Thus our “energy” and “power” symbols have been colonised and re-engineered to serve these short-term psychopathic interests. In the process the great Principles of Energy born of the state of science are destroyed, as is the notion that wise uses of energy is a common good. 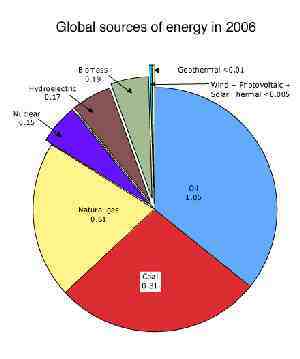 What we find is that the merchant bankers define these few carbon and electrical products as energy. They then promote addictive uses of them and when things go wrong they blame energy itself as the problem. 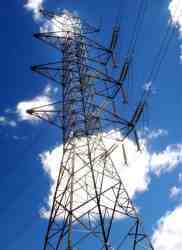 At such times of “energy failure”, usually when temporary demand exceeds supply of these “energy” and “power” products, citizens are exhorted to “practice energy efficiency” and thus “save energy” to prevent “an energy crisis” or a “power black out”. Left immobile or cold and in the dark citizens learn to associate the “energy efficiency” symbol with deprivation. Wisdom is associated with loss. Such strategies serve the mandatory short- term profit imperatives of the corporations by retaining customer loyalty to their products, the continuing addictive uses of them and assuring the suppression of the consideration of strategies for the wise uses of the resources of Earth. The reality is we have myriad resources and it does not matter how much energy we use. What matters is that our use of a resource is in harmony with the balances and flows that sustain humanity. For instance with wise use of insulation and urban planning we can easily increase our use of energy in the form of our solar potential in most harmonious way. With the wise use of birth control technology we can better control our destiny. This wise use may involve a greater use of our carbon potential. Our current abuse of this potential is worthy of an essay in itself. Suffice to say there is much evidence that proves the power of our ego to plays tricks and delude us. The notions of “Carbon Trading”, “carbon neutrality”, “carbon offsetting” “zero carbon” and “low carbon” and “post carbon” economies etc are all symptoms of a malaise in which we seek to deny our roles as stewards amidst the great carbon flux of our planet. The association of the “carbon” symbol with evil is a manifestation of deep self-hatred and a rejection of life itself, for carbon forms an essential building block of life. Our ego is a paradox in that the more desperately it craves immortality the more it destroys the health of our existing state of being. The perceptive reader may have noticed a paradoxical phenomenon emerging: most of the examples of denial of change/stewardship are extremely prevalent in the language of those most overtly devoted to stewardship/change, commonly known as the “green” or “environmental” movement. Certainly this is my main source for these examples. To understand this phenomenon it is helpful to remain mindful of the exquisite and ingenious capacity of our ego for acceptance and denial of change/stewardship. Its limits are beyond our capacity to imagine. Our ego may respond with acceptance or denial of stewardship/change as we gain knowledge of how our actions affect the flows and balances that sustain us. Any enhanced knowledge and appreciation of the harmonies of our surrounding sustaining fabric tends to generate in us an enhanced awareness that our activities need be in accord with these greater harmonies. Thus activities that are in discord require proportionately larger justification or, if you like, greater and more sophisticated mechanisms of denial of change/stewardship. The ego attempts to work in even more ingenious ways to obscure the dissonance between knowledge and deed. Self-styled “environmental activists” become disproportionately vulnerable to this general denial. Witness how many activists destroy resources on scale jetting around the planet to “stop climate change”, “fight global warming” and “save Earth”. The dynamics of this situation are amplified with any increase in the individual’s reputation for knowledge and stewardship. The situation of the elite “environmentalist” is similar to that of a Warmer Trace Gas. Gases such as water vapour, carbon dioxide and methane exist only a few parts in a thousand of the atmosphere and yet any small change in their proportions can by the power of leveraging generate disproportionately large thermal change. Similarly any dissonance in the reputed “expert” environmentalist can generate disproportionately large dissonance and denial in the general population. We all retain elements psychopathy with its associated pride, arrogance and, self-hatred. The more the ego of the “environmental guru” is dominated by these sensations the greater the tricks the ego plays to obscure any personal dissonance and denial. Witness how many of them actively deny the change they call for, as is revealed in their dissonant lifestyles and language. Ultimately these tricks of denial of our ego fail us. Humans are actually very consistent beings. Our truth is always out in some way or another. We are exquisitely tuned to detect and reflect the relative dissonance and harmony in each other, using myriad clues we cannot imagine. There is great wisdom in the ancient sayings that we are our examples and that we are often our own worst enemies. This principle is born of the Conservation and Uncertainty Principles of Energy. It suggests the more we embrace their messages and are able to accept change/stewardship the better we can reflect reality and enjoy truth. Put most simply, its basic message is that the more we live in acceptance of change the greater the harmony we will tend to know. The more we live in denial of change the greater the misery we will tend to know. As mentioned, change and stewardship are practically indistinguishable. The use of the “mirror” symbol in the Sustainability Principle reflects the reality that we are Mirror Beings. Our brains are spliced with complex systems of mirror neurons with which we mirror our internal and external worlds. The Principle implies that our use of any symbol both reflects and generates specific states of being both internally and within our audience. Our use of a symbol actively alters how the universal potential (energy) is manifest. The Principle also suggests we have a will that can transcend the tricks and traits of our egos. We can actively choose to employ symbols in ways that are in harmony with the great Principles of Energy. Initially these ways may seem foreign, even alien, and we may stumble and stutter in most awkward ways as we make new uses of our prime symbols. We may fear the ridicule and alienation of others. However because these harmonious symbol uses more truly reflect reality they will resonate within and without in ways that promote the sensation of harmony with all in the longer term. Our ego may tell us thoughts and words are not matter and thus “it does not matter how we use them”. The reality is information is physical. The concepts with which we build visions are as material as the dwellings, hydroelectric dams and spaceships we build using them. The engineering processes and demands are the same. The great Principles of physics prevail. The Sustainability Principle can act as a guide, a predictor and a psychoanalyser. It is a guide because it indicates which symbol uses tend to put us at lesser or greater risk, or if you like, enhance or destroy the state of science in a society. It is a predictor because it enables us to evaluate a symbol use and predict whether the individual or group employing a certain use of a symbol will tend to generate harmony or dissonance. It enables us to psychoanalyse individuals and societies for their levels of sanity – in particular for evidence of psychosis and psychopathy. It reveals how in touch we are with reality, which is the universal change. It reveals how much we embrace our roles as stewards of our actions. Nothing can exist in our lives if we do not have a symbol for it. Even at the cellular level of our DNA we employ symbols in primal ways so our cells can exist and be propagated. Great wisdom resides in each of us. By embracing the Sustainability Principle of energy we can make conscious uses of symbols so they resonate with that wisdom and associated sentience. The Sustainability Principle is an eminently practical tool, as can be seen from the list of sample applications at www.bonusjules.co.nz. The Conservation Principle reminds us energy is as bounteous as potential of the universe(s) and can exist in myriad transient forms. The Uncertainty Principle reminds us our life is a journey of exploration in which all is transformed with our observation of it. The Sustainability Principle enables us to experience that journey with greatest awe and meaning. It is a paradox: its message is simple in essence and it works to reveal the wondrous complexity of existence. And because it is a paradox it is beyond words and can only be experienced in our fuller sentience. It is to be lived in our actions –which includes our choice of symbol uses. Another name for the Sustainability Principle of Energy might be the Conservation Principle of Symbols. It teaches us to value and conserve the power of our symbols, especially our prime symbols. For instance it advises that energy is. We deny its existence when we confuse it with any of the myriad forms it can take. Give each form its unique symbol so we can enjoy its fullest potential. In conserving its potential we become aware of related forms and all their potential also. If you are talking of all the forms that are oil then give each form a name. If you are talking about mineral oil symbolise it thus so all remain mindful that there are other oils such as oils derived from living plants. Some of those plants may be valuable foods, so give that oil an associating name too. If you are talking about sweet forms of mineral oil then symbolise them thus so all remain mindful that not all mineral oil is sweet. And so on. If you are talking about electrical phenomena then symbolise them according to their properties so all can know the existence of electrical currents, electromagnetism, electrostatic, electrons, electrical charges, bioelectrical states, thermoelectrical states, voltage, electrical fields, electrical plasma and other electrical forms. Be mindful electrical products can exist in many forms such as Bulk-generated forms, Dwelling generated forms and Nano-generated forms. Thus our fuller electrical potential is revealed. If you are talking about carbon be mindful it comes in myriad, transient forms, each with its own unique properties. Many form the building blocks of life and there exist carbon forms unimagined that might become wonderful resources for us. Let your language embrace stewardship, knowing our actions can never be neutral amidst the dynamics of the great carbon flux. Conserve the potential of our “carbon” symbol. Change itself comes in many forms. There is the change that occurs in the absence, the arising, the existence and the passing of a form. If viewing it from a thermodynamic perspective then speak of the warming up or cooling down (temperature change) in the arising and passing of a form. Speak of the warming and cooling while the form is in relatively stable existence. Each situation involves different forms of change and the changing of forms. Ice is different to liquid is different to steam though all are water. The change from one state to another involves different changes, such as latent heat. The act of conserving the potential of our symbols has rewards unimagined. One is that as the spirit of conservation becomes pervasive in us then we experience greater joy in care. Our most potent votes are not made at ballot box. They are made at petrol pump, the airline counter, the supermarket check out and at our dwelling’s switchboard. Our spirit of care becomes manifest in more sustaining social structures, for we tend to get what we vote for. We each live a dance between acceptance and denial of change/stewardship. Perhaps already you sense a more splendid and dynamic vision of the nature of energy emerging as you read this. 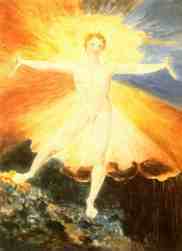 Perhaps such a vision is why William Blake writes, “Energy is eternal delight”. Allow yourself a moment of silence in which you appreciate this experience of enhanced potential. Savour the bounty and variety with which energy can be manifest. This sensation will tend to pass as elements of your ego hurriedly work to deny this experience. Be mindful and do not despair that those same elements of denial are projected and reflected in your friends, business colleagues and especially our corporations. Smile with compassion at the ingenuity and trickery of your ego each time you become aware this has happened. Thank it for reminding you of the Sustainability Principle of Energy and quietly persist in your work of conserving all the potential of our symbols. Thus, even with all the suffering of our world, you allow the possibility of experiencing the great bliss, which is energy.